It can be used to forecast inventory levels and prices, expected product demand. It tracks the cost of inventory throughout the manufacturing and sales process. There is a direct connection between inventory levels and business profit. Effective inventory management is one of the very important parts of any business. Until the time an item is sold or used for the production of end product if it is a raw one, it is an investment for the business. Sufficient inventory is need of a business, otherwise, there is always a doubt to lose one’s customer. Like any other investment, maintaining inventory also involves a great cost in storage, insurance, and maintenance. When it comes to replenishing a stock, management needs to plan in such a way that inventory is always sufficient for smooth sales but never overstocked or produced. To handle such a situation, Inventory management system suits best as it monitor’s all aspects of a company’s inventory through the raw material to production till sales. Inventory management template involves tracking of order, maintain stock as per market demand, costs of products and shipping, shipping etc. Apart from Inventory management template, some elements which are critical for a business to maintain inventory are – easy to locate and reachable location of inventory, unambiguous location numbers, Unique item listings, correct measurement of units of items, sufficient starting count and feasible and followable inventory policies. Easy Re-ordering – it makes inventory tracking easy, which in turn helps in accurately identifying when a particular product is to be re-ordered or if a product’s new order needs to be stopped or discontinued. Helps in wise investment – Home users who are looking for insurance for personal property as well as business houses storing computer hardware, merchandise, tools, and equipment etc. use this. It helps in knowing what you have stored, what is the perfect location for your store, what’s the cost of maintenance of your inventory and correct time to upgrade your inventory and its management. Time and Money Efficient – The Inventory management template allows easy data entry, quick access to product’s available and order details in a friendly and known format which can also be modified as per your requirement. Current inventory levels – A good template can provide you visual information on your current business inventory status, which is a vital step and information to run your business run smoothly. Effective inventory management is really vital for business owners, but it can also be helpful at home. Whether you want to document home inventory for different insurance purposes, keep track of personal possessions that you have in storage, or plan food and beverage quantities for an event, inventory tracking can really help you stay organized. Businesses can keep any operations running smoothly by managing stock to avoid surplus and tracking inventory to see which products are performing best. We’re here listing few basic types of inventory templates. Stock Inventory Control Template: If you’re managing stock for a retail business or materials for getting in manufacturing, you know how critical inventory management can be for optimizing the sales and productivity. This stock inventory control template can really help you identify when it’s time to reorder stock, reduce excess inventory, access supplier information, and easily locate items in storage. It’s very easy to view the entire lifecycle of the stock, including items on backorder. 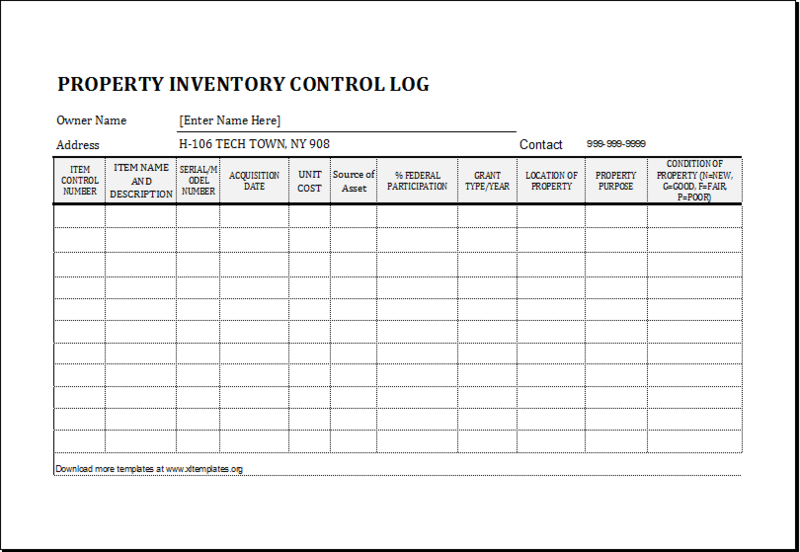 Basic Inventory Control Template: Simple and very easy to use, this basic inventory control template is perfect for a small business or any business that doesn’t need a lot of bells and whistles to manage their inventory. View stock, inventory by item name, description or ID number as well as unit price. 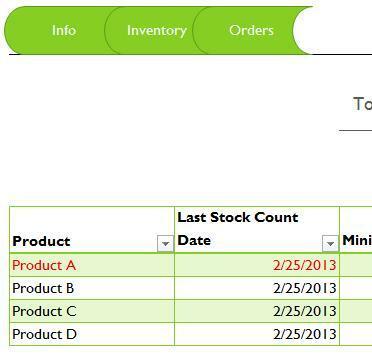 Track the total quantity and the value of your current inventory, reorder dates, and discontinued different items. Managing inventory is really straightforward with this template because of its clean design. As is with all of the Microsoft Excel templates, the columns can be customized for your business, and the calculations are completed for you. 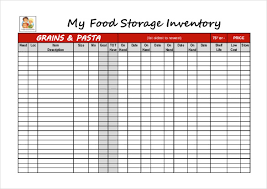 Food Inventory Template: Food Inventory template is specifically designed for tracking food stock. Restaurants and caterers can organize their inventory based on categories of food, like meat, fruits, vegetables, or desserts, and easily view the current quantity of available food stock and inventory costs. Asset Tracking Template: Keep track of your business assets like computer hardware, software, equipment that needs to be maintained, and tools with this asset tracking template. This is a very simple asset tracking system intended for smaller businesses, but it allows you to view not only the quantity and value of your assets but also allows warranty dates, supplier information, physical location, serial numbers and more. To modify this template, simply remove any columns that you don’t need, and add new columns to increase your level of organization and detail, etc. Home Inventory Template: In any particular case of a natural disaster, fire or burglary, having a home inventory spreadsheet can make life a whole lot easier. Going through a traumatic experience and losing personal possessions is really hard without having to remember what items were lost and how much they were worth. This home inventory template makes it super easy to document your home assets, including model and serial numbers, purchase price, and current value. The spreadsheet also includes a column for location, so items can be organized based on various rooms in your home. There are also fields for insurance information so that you can easily access your exact policy number and insurance agent. There are different inventory templates which are available to get free downloaded and used. Some of these are listed below. 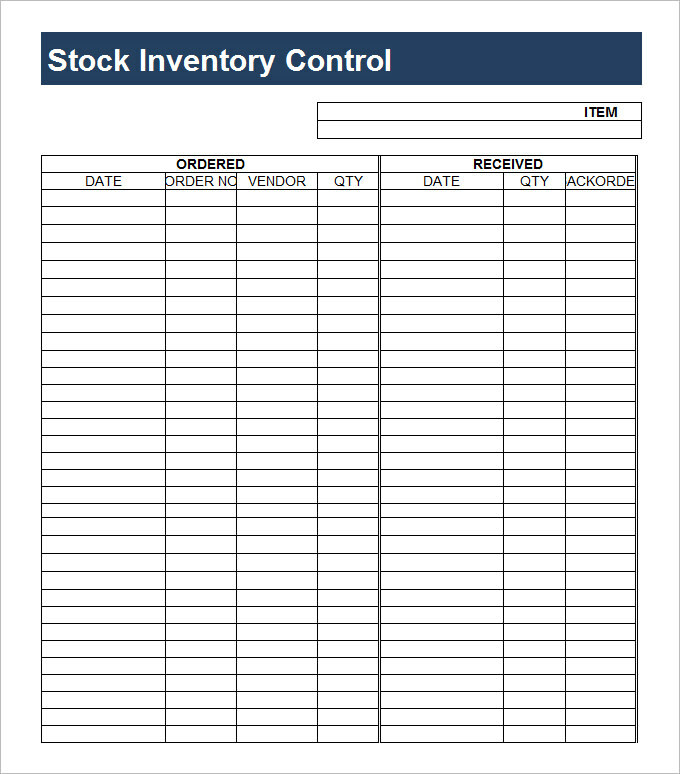 Inventory list- Keep track of your stock and inventory and stay on top of your ordering with this inventory list template. In addition to the tracking items in stock, the template also contains columns for tracking stock reorder level, reorder time, quantity to reorder, and whether an item is discontinued. Warehouse inventory- This accessible template allows its users to track and also maintain inventory bin locations within a warehouse. It also includes the ability to print a pick list, be flagged when its reorder time, retrieve information on specific bins, and keep the track of inventory value. 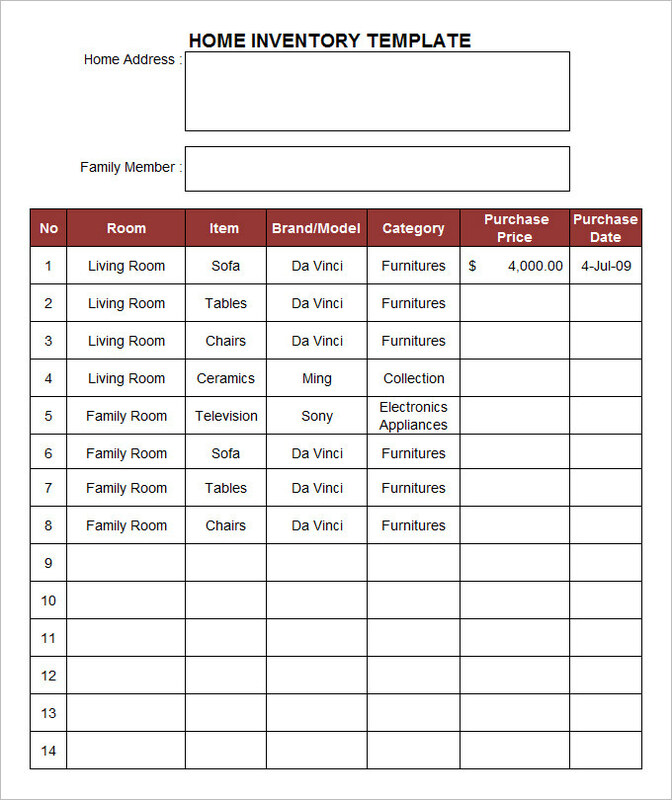 The home inventory- Use this accessible template to keep the track of all stuff in your home by room and its value. It also gives you all information on your insurance company and agent. An inventory list with reorders highlighting- This accessible template will help your small business track stock and inventory. The inventory list with reorder highlighting template also includes reorder and total value information using conditional formatting. Credit memo (Green design)- This credit memo template is generally used to calculate line item totals, sales tax, and the credit total. This template also features a company logo and slogan. 21st-century pie chart–You may graph your financials with this pie chart. This three-dimensional style will add a modern flair. Each slice is labeled with a percentage and its section title. This is an accessible template which anyone can easily download. Equipment inventory and depreciation schedule–You may keep an inventory of your capital equipment at your business locations with this accessible spreadsheet equipment inventory and depreciation schedule template. Annual and monthly straight-line depreciation, as well as current value calculations, are made really automatically and very easily. Inventory List accessibility guide–You can make your own accessible Inventory List or use as a guide to creating new templates which are usable by people who are blind or have low vision. Additional information at the end will help you learn accessibility requirements for links, conditional formats, and icon sets. To use this kind of template, you should remove the instruction tabs and customize with your information. 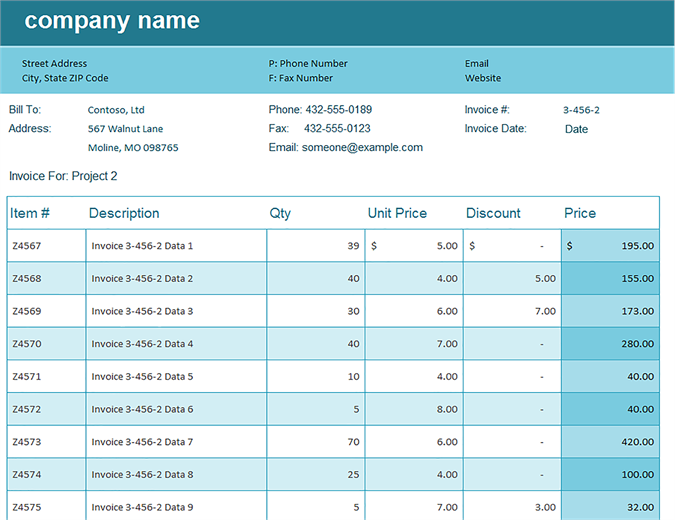 Invoice–Create a professional invoice for all shipped goods; template also includes fields for information about purchased goods, shipping route, company, and the purchaser, etc. Personal Inventory–This accessible inventory worksheet basically contains a contact card with information about the insurance policy and insurance company as well as a quick table for itemizing the inventory. Quarterly sales report–One can record multiple product names with quarterly sales figures and watch as this report automatically displays the collected information in a pie chart. This is indeed a very useful and good inventory template to be used. Inventory management plays a vital role in any business. 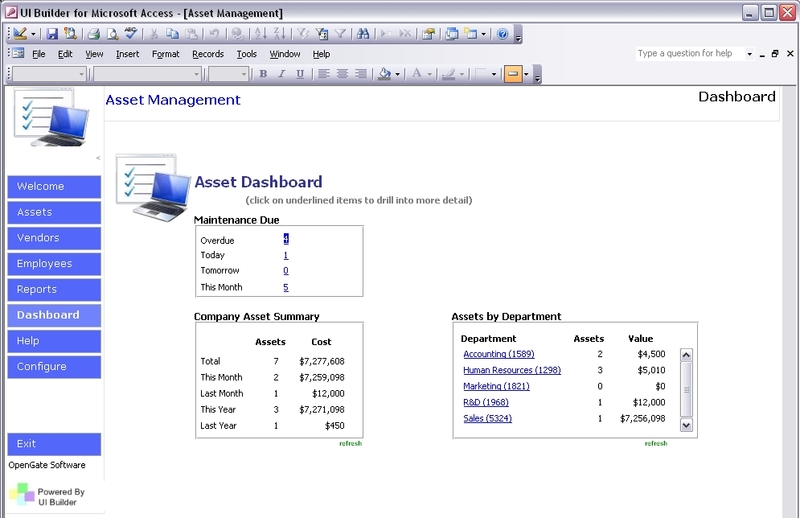 And choosing a right inventory management template is equally important to make inventory management organized and easy. Form templates are created to provide these functionalities to inventory management. The form templates are highly customizable and are used to eliminate complications of inventory management. 1. 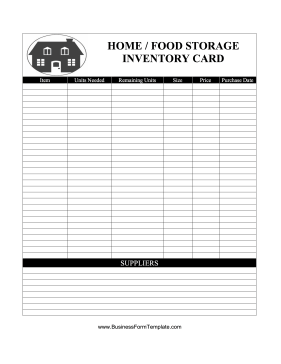 Food Supply Inventory Template – As the name suggests, this template is used in a food factory or related business. It details master ingredients, their servings and all other details that are necessary to maintain a food inventory. It can be used for maintaining inventory in its standard format or can be modified and customized as per business requirement. 2. 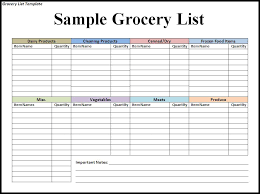 Grocery Supply List Order Template– This template can be used by a grocery shop owner or for personals who want to maintain the list of grocery for monthly use. As par the varying monthly requirement and demand, this list can be modified. Grocery supply list order inventory form comes in PDF format and is designed to be accessed from all types of devices. 3. 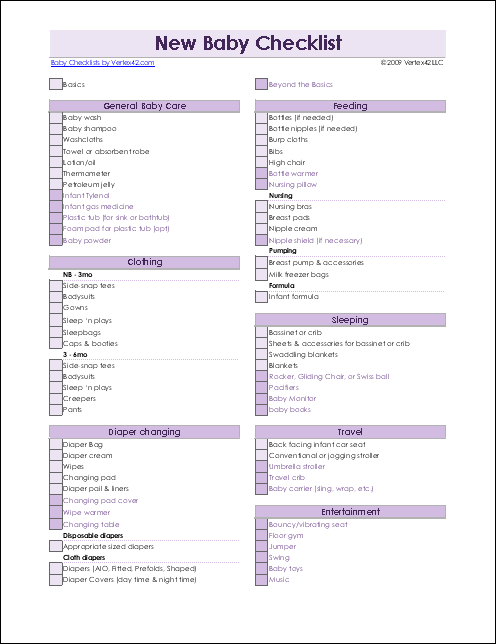 Baby Supply List Template – This template is used in baby supplies business, to maintain an inventory of goods that are sufficient in your store and keep the track of things that are in deficit and that you need to order. You can use this template for any kind of baby supply business, either by using in its standard format or my customizing it as per your need. 4. 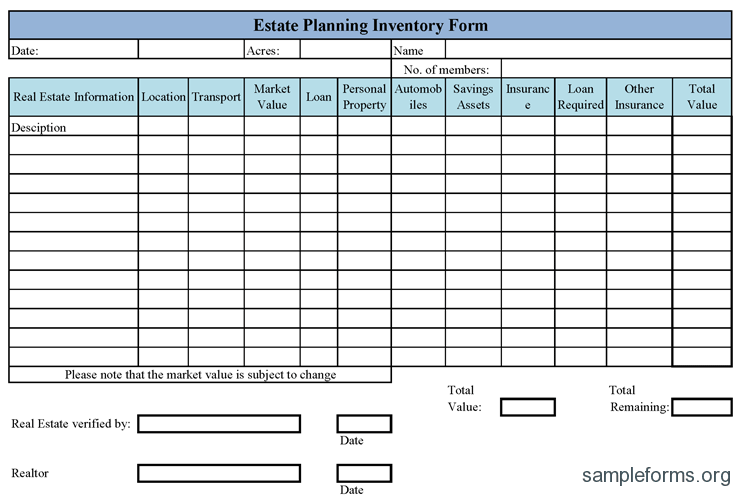 Property Inventory Template– This inventory form is easy to download and use. Simply download and fill it when you rent out your property and refer to when your tenants move on. This template works as a carefully created tenancy agreement. It mentions crucial rental deposit scheme alongside other things like property inventory document which can help both parties at the end of the contract. 5. 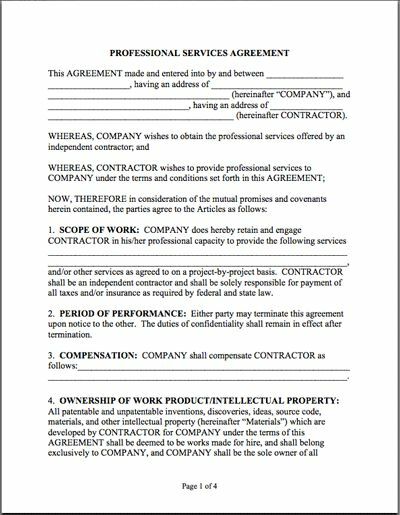 Service Contract Inventory Template – The purpose of this inventory form is to determine if contract labor is being used in an effective and appropriate manner and if there is a balance between permanent and contract employees. 6. 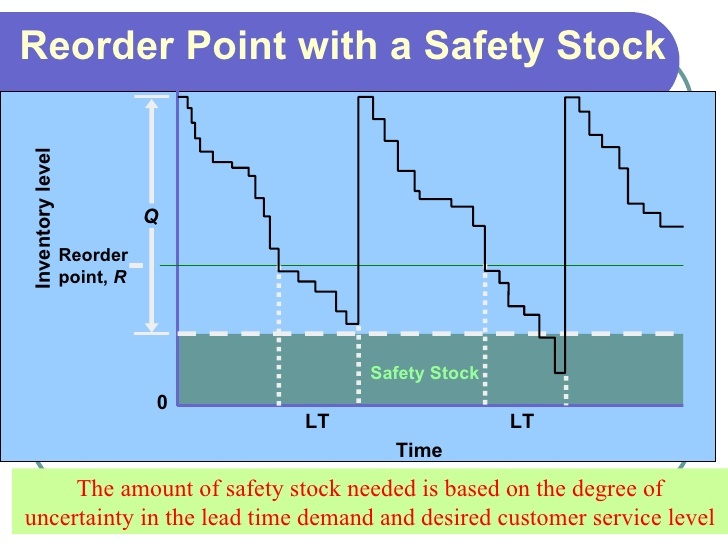 Stock Safety Inventory Control Calculator – Safety stock is the inventory ordered or carried and maintained in excess of what real demand is so that any internal or external demand can be absorbed. 7. Free Audit Inventory Control Checklist – Basic purpose of inventory audit is to provide a 100% accurate count of your physical goods inventory. Once it is done successfully, you will be able to perfectly create the list of your actual inventory. 8. Capital Management Inventory Control Template – Any business needs capital to proceed, to invest in an asset, which is to be utilized over a period of time. Capital management plays a great role in it. 9. General Estate Inventory Form – This inventory form includes proof of ownership of a decedents assets to ensure an inventory’s accuracy. 10. 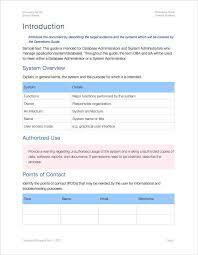 Log Sheet Inventory Form – Log and inventory business form templates are available in doc format and are automatically maintained. 11. 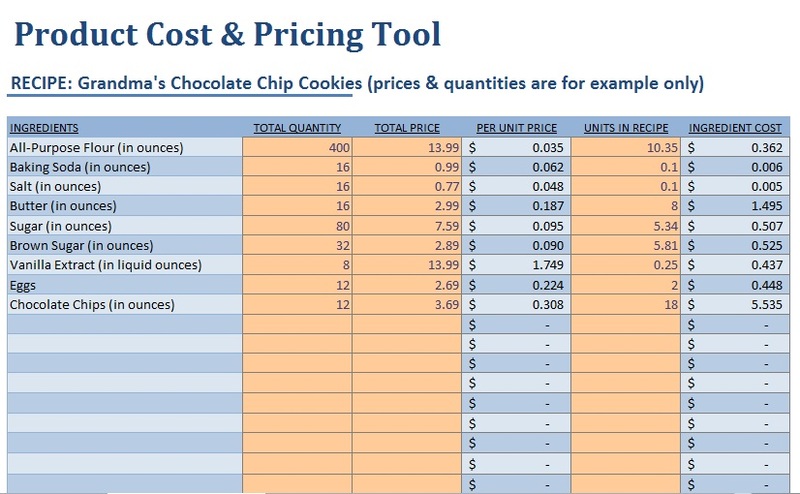 Product pricing worksheet Template – This work should be done very carefully with the value of any product. In order to set a price like this, what you need to consider is what we will tell you here. We have designed a pricing strategy to help you. Determining the value that is the manager of the business, it is part of a special responsibility. There are so many things in any firm that affect the price. Such as increased competition in a market, demand for goods, average sales, and financial condition. This Microsoft Word document provides a standardized format for your collaboration when planning to price for your product. 12. Order tracker Template – Track to complete the task to make it accessible to your new task. It remains a fully prepared to help you. If you have a reliable vendor and reliable supplier who prepare more stock than you need. You can track a large number of audiences by using some sort of tracking system, you can search for a solution through the database. If you want to simplify your work, then you can download and purchase order tracking templates by downloading it with our free purchase order template from our website. 13. Free Home inventory Template – Everyone should keep the information on their home inventory. So that you can handle the necessary documents in your home which are helpful for insurance purposes. Even taking some pictures of your home can make your insurance work easier. If you are thinking of downloading a particular software to solve this task, then it is useless to think because a spreadsheet list can also work for this task. So do not hesitate and download free home inventory template from our website. When you complete your home inventory, you should deposit it outside your home in a safe place or in a digital copy. A safety deposit box, locked drawer probably will work for such a location. 14. Fisheries Management Inventory Template – As a supporter, we are sitting alone to help, sometimes it is difficult to track stock or inventory. And also when you want to do it through a spreadsheet. 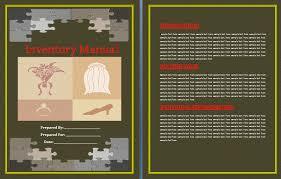 If you want to download the Fisheries Management Inventory template then you have come to the right place. We are very happy to tell that the template that we have will make your work easier. 15. Aggregate production planning inventory Template – Production planning is the means by which we prepare the duration output quantity for a period of one year. The overall plan illustrates the fact that the production plan is multiplied. The main problem here is that demand for each month is different. We want to keep production as stable as possible like if we do list We have to balance the costs of production levels, overtime, sub-contracting, inventory, reduction and change in production levels. There are two ways to deal with a deficiency in production planning. The lack of a model is back ordered by which we can collect the demands and can be completed in the later period. Another solution is to lose the sale if you can not fulfill the demand in that period, in which the request is made that the demand disappears. Inventory management is the backbone of any product-oriented company. Inventory management is all about maintaining the right amount of stock to satisfy the market demand with minimal cost. Various stock management inventories that we create emphasis on balance between market demand and stocked inventory. 1. Human Capital – Cost for human resources to maintain the inventory, for example, settling it, moving it etc. 2. Facility Cost – These are inventory holding costs which include rental and static equipment cost. 3. Finance Cost – When cost is involved in inventory, cost of finance is interest included. 4. Procurement Cost – Cost involved in transportation on inventory including inbound transfer. 5. Management Cost – White color professional and IT personal charges. 6. Inventory Turnover – As a rule of thumb, faster the stock turns over the less it will cost you to hold inventory.Optimal inventory turnover may vary from one business to another. 7. Stock Accuracy – if stock records are wrong, a vast amount of money and time can be wasted in sorting them out. Ideally, stock accuracy should be 98% or above.This means at least 98 times out of 100 stock in a system should meet the real stock in inventory. 8. Service Levels – A rigid or single service level approach can cause delay.Companies are supposed to supply any good, anytime at any place. 1. 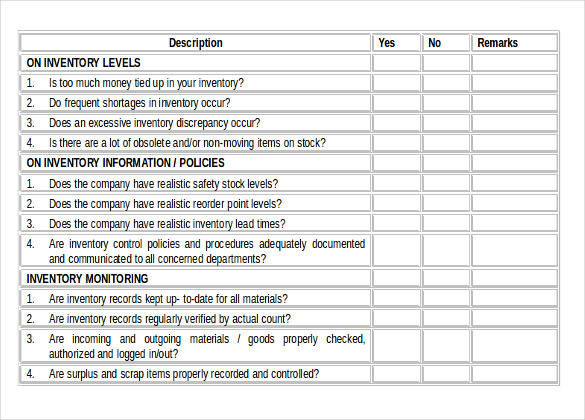 Inventory template ensures that inventory is maintained, updated and controlled effectively. It helps business in making stock related decision like when and what products are to be purchased and in what quantity. 2. Inventory control template also accommodates usage of material and resources of the business.This, in turn, allows identifying specific usage of each item. 3. It is usually used as a tool to plan the business from the inventory management and control point of view. 1. Free Inventory control templates can be used as a basis to create your personalized template as they are created by a specialist of the subject. These can be customized as per your personal requirement of business. 2. Always be maintained and organize the format with the entirety of the document so that your template can be reviewed easily. Also, well-organized template makes it easy to be maintained for resources working on it. 3. Specification regarding the products that are to be stocked is necessary and especially regarding item description, storage quantity, and inventory location.